$13.92 on Amazon look inside this book! About 29½ (32, 34¾, 37½, 40, 42¾, 45½)" (75 [81.5, 88.5, 95, 101.5, 108.5, 115.5] cm) bust circumference. 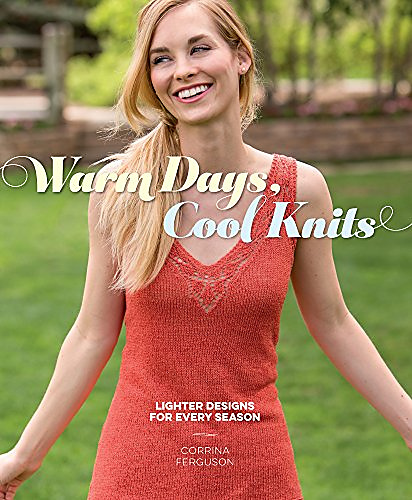 Teola is a cool and comfy short-sleeve pullover with a lovely cable rib pattern that’s much easier to work than it looks. In fact, the cables are so simple there’s no need for a cable needle! The sweet lilac color welcomes spring, and the merino and viscose blend yarn makes the fabric wearable when it feels more like summer.